Ooh La La! Fanciest Soup Pot Ever! 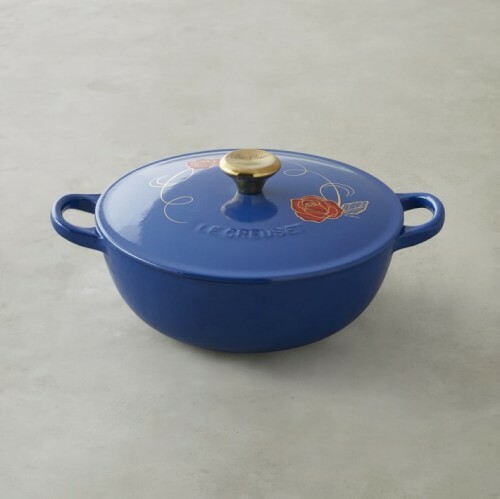 Make a mean soup du jour in this Limited Edition Beauty and the Beast Soup Pot by Le Creuset! This cast iron masterpiece is perfect for braising, as well! It’s a Williams-Sonoma limited time exclusive, so head on over quick to grab up this piece of culinary perfection while they last! And be sure to check out our Beauty and the Beast Gift Guide for more fun finds! This is so beautiful and I would love to have it, but my husband would absolutely kill me if I bought a $180 pot.